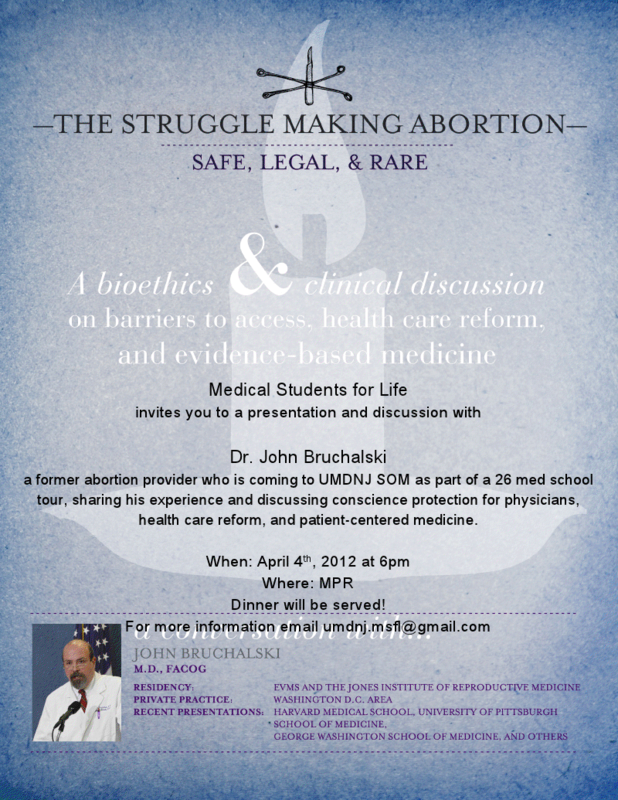 Dr. John Bruchalski (OB/Gyn) will be speaking at UMDNJ-SOM on April 4th at 6pm. His topic is “The Struggle Making Abortion Safe, Legal, and Rare.” Dr. Bruchalski is eager to engage his audience in honest, humble discussion. More details below! As a footnote, the event will be held in the Multipurpose Room (“MPR”) at the Academic Center. Parking is free after 5pm. A local physician made me aware of a pro-life event to be held near Penn’s campus on November 20th. Participants include contemporary Christian singer Bebo Norman and abortion survivor Gianna Jensen. More information, and tickets for the event, can be found by following this link.